West Market Square Artisan Coffeehouse in Bangor is set to open at the end of March. Cheryl Michaud, owner of West Market Square Artisan Coffeehouse, stands outside the location of her business in West Market Square on Tuesday. The coffee shop is set to open in late March. BANGOR, Maine — About four summers ago, Cheryl Michaud was sitting on her porch with her son, dreaming. “It’s everything from the smell of the coffee, to the feel of the cup in your hand, to the color on the wall to the seat you’re in,” she said to him. She had an idea in mind — an idea for a coffee shop that offered more than just coffee. “You’re offering an experience,” she recalled him saying. Now, Michaud is making that dream come true. 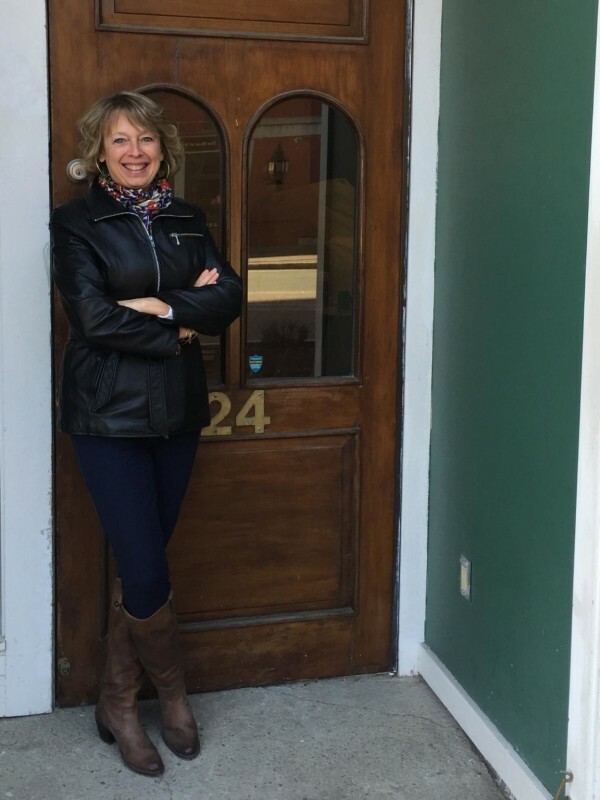 Expected to open in the end of March, she’s creating West Market Square Artisan Coffeehouse, which will offer Bangor everything one would expect of a traditional coffeehouse. There will be brewed coffee, pour overs and espresso drinks. Trained baristas will prepare orders on the spot. Beans will come from Colombia, Sumatra and other hot coffee growing spots around the world. As a hub of entertainment in Bangor, West Market Square seemed like the perfect place to open her business. “There’s so much going on in Bangor now. There’s a vibrant feel that hasn’t been here in past years. It seemed like a really good time to bring something like this to downtown,” she said. But she’s not the only one in the area offering coffee. Other establishments in downtown Bangor also offer coffee, but Michaud hopes to offer a new environment and experience for patrons. “We’re not going to be a food place that happens to offer coffee. We’re a coffee place, and the food supports the coffee,” she said. 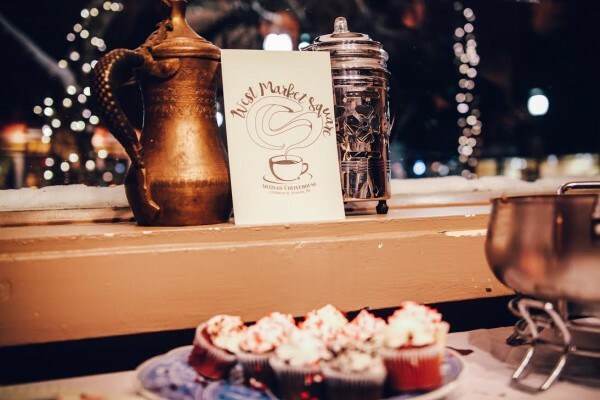 Once entrenched in the world of corporate America, Michaud did a lot of traveling around the country, but there was one constant she always sought out while she was away — a coffeehouse. “I love those kinds of places — that’s where the passion for this began,” Michaud said. Michaud said she’s trained to be a barista in preparation for the opening. She’s also been learning everything she can about coffee and how it’s made. Patrons can expect worldly coffees, but in her commitment to Maine and community, Michaud is sourcing the help of locals as well. Tandem Coffee Roasters in Portland will roast all the beans, and those who come in for a cup of coffee can expect nothing less than the freshest Michaud can offer. “Our beans will be no more than a couple weeks out from being roasted when they’re served — they’ll be very fresh,” Michaud said. West Market Square Artisan Coffeehouse will use milk from Siberia Farms in Hermon and tea from Tea Maineia in Winterport. There will also be treats to satisfy, like pastries from local bakers and some light lunch items. Michaud is focused on creating a comfortable and unintimidating atmosphere for patrons to feel welcome. “I don’t want people to think that this is some kind of speciality coffeehouse where they won’t know what to order — no, all of us working there will be happy to share information with you,” she said. Michaud is creating a place for anyone — those who might want a quick cup of coffee on the go, or those who want an experience. Inside, patrons can expect an eclectic atmosphere with items from local antique shops, such as a vintage red leather couch and chandelier Michaud picked up right in Bangor. “I’ll be setting up little vignettes, if you will, for people to congregate,” she said. Michaud wants people to come in and feel comfortable. She wants them to sit down a read a book, or meet with friends — all over a cup of coffee. The steam swirling from the cup of coffee in the logo he created incorporates an artistic rendering of that sculpture, which now sits on the Bangor Waterfront. “He remembered this,” Michaud said, pointing to her son’s design, which adorns her business cards and will feature in a sign that will display her business name. “That’s my mantra,” she said.